This Colligan History Project presentation, based on Larson’s bestselling book of the same name will take place on the eve of the centenary of the end of World War One. It is included as part of Miami University Regionals Heroes Week, a program of public events honoring all military veterans. On behalf of the Michael J. Colligan History Project, I write to acknowledge the distinguished service of my friends and colleagues, Dr. Curt Ellison and Ladonna Hoskins. Please join me in wishing them a long, happy, and active retirement! 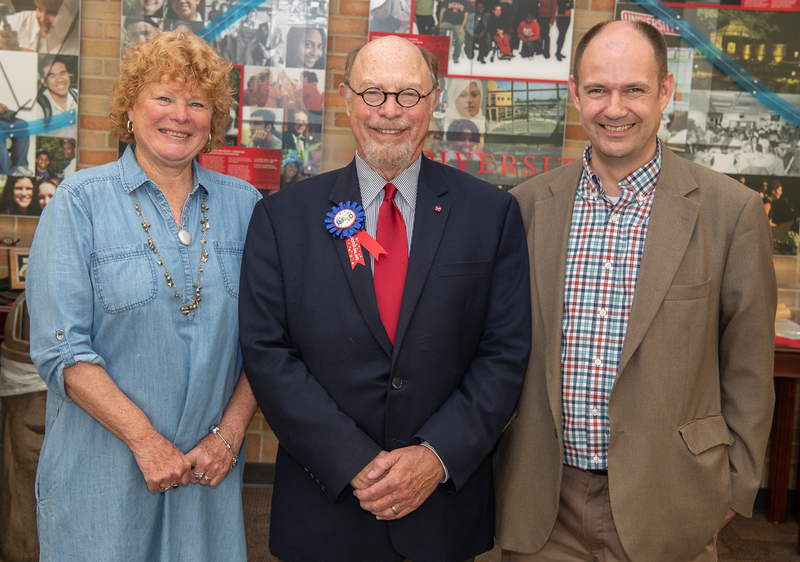 Curt retires after forty-eight years at Miami University and some 100 events at Miami Regionals. Since coming to Miami in 1970, Curt was dean or interim dean of three Miami schools, teaching History, Appalachian Studies, American Studies, Interdisciplinary Studies, and English. He published numerous books and articles including Country Music Culture: From Hard Times to Heaven, and has a project under way on “Ralph Stanley & the Appalachian Diaspora.” Curt served as Director of the Colligan Project at Hamilton and Miami University Regionals Appalachian Studies since 2010. Highlights include the centennial commemoration of the 1913 Great Miami River Flood, the community turnout for David McCullough’s 2016 Dolibois Prize Lecture, and the pioneering Bluegrass Music Heritage of Southwestern Ohio project with Appalachian Studies. Ladonna worked at the Colligan Project since the beginning in 2000. Her skill, dedication, and attention to detail have ensured the steady growth and success of our programs, and her sunny personality brought a burst of Florida warmth to our Project. She and her partner Steve have been enjoying retirement and traveling the US, fishing, boating, and motor racing! I look forward to succeeding Curt this fall as Director of Public Programs, with responsibility for the Colligan Project, Appalachian Studies, and the Wilks and Casper Lectures in Hamilton and Middletown respectively. I’m also grateful for the support and know-how of our capable new Program Associate, Sheila Williams, who joined our team this year. Together we plan to bringing many exciting speakers and events in the years to come! Join us as distinguished presidential historian and winner of the 2009 Pulitzer Prize for American Lion: Andrew Jackson in the White House Jon Meacham explores what 21st century leaders can learn from our common past. Meacham’s non-partisan presentation discusses how examples of former U.S. Presidents, including Andrew Jackson, can inform today’s leaders in various fields. Tuesday October 10 @ 7 p.m. This year marks the 50th anniversary of Thurgood Marshall’s appointment as the first African American Justice on the U. S. Supreme Court. Political analyst and former NPR host Williams shares stories about Marshall’s life, his heroic role in the Civil Rights Movement, and his stunning legal success. While Martin Luther King Jr. and Malcolm X may be better known, Marshall’s legacy continues to shape race relations to this day. 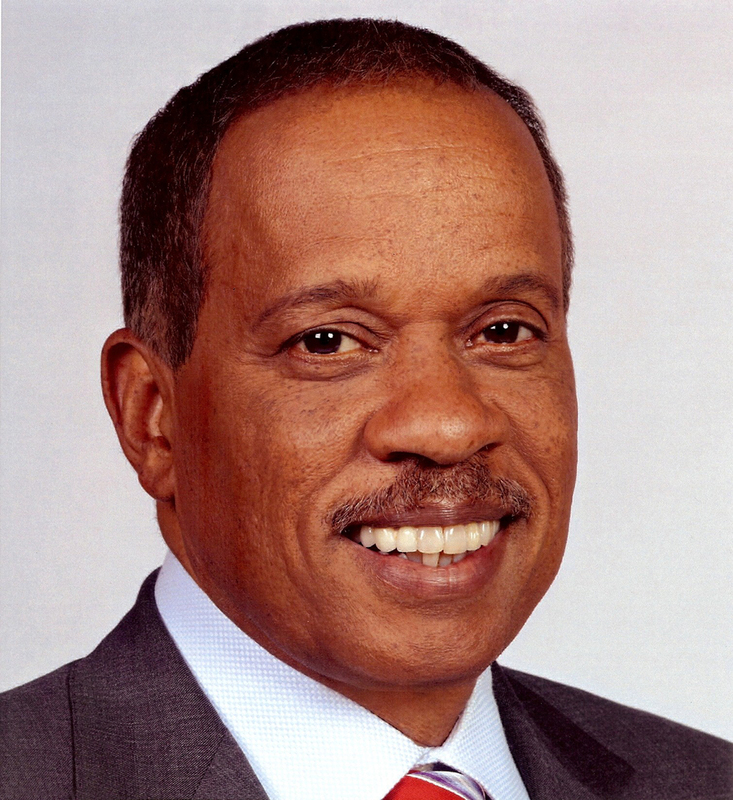 Juan Williams is a two-time Emmy Award winner and author of Eyes on the Prize, a companion volume to the PBS documentary of the Civil Rights Movement. Sad news this week as we remember Jim Blount. Jim was a longtime friend of the Michael J. Colligan History Project, and namesake of the Jim Blount History Educator Award. His many achievements reflected his unique character and varied career. Jim was proclaimed City of Hamilton Historian in honor of his lifelong interest, research, and writing on the history of his hometown. A former Journal-News editor and Hamilton Schools teacher, Jim volunteered for many years on the Butler County Transportation Improvement District. This summer it was announced that the South Hamilton Crossing, soon to be completed, will be named in his honor. Our condolences to Jim’s widow Jackie and his family. The conventional wisdom of recent decades–that Franklin Roosevelt engaged in a massive deception about his disability–is flat wrong. In fact FDR might never have become president at all had it not been for his extraordinary comeback from polio. Award-winning author James Tobin spent 20 years as a reporter and freelance writer, published Ernie Pyle’s War: America’s Eyewitness to World War II in 1997, and The Wright Brothers and the Great Race for Flight in 2003. The Man He Bacame: How FDR Defied Polio to Win the Presidency appeared in 2013.